South Florida Air Solutions, is a family owned Central HAVC installation and Air Conditioning Repair company in Jupiter Florida. With more than 15 years experience, Shawn Crumbley assist homeowners and businesses throughout Palm Beach county with all their maintenance needs. 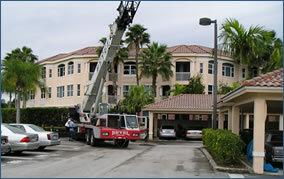 South Florida Air Solutions is a certified and licensed Rheem and Trane dealer that specializes in servicing and installing Residential AC and Commercial HVAC of all sizes, and are dedicated to providing superior customer service and expert custom installations that set the highest standard of professionalism in the industry. We look forward to welcoming new customers and developing long-lasting relationships. Copyright 2011 Â© All rights reserved.